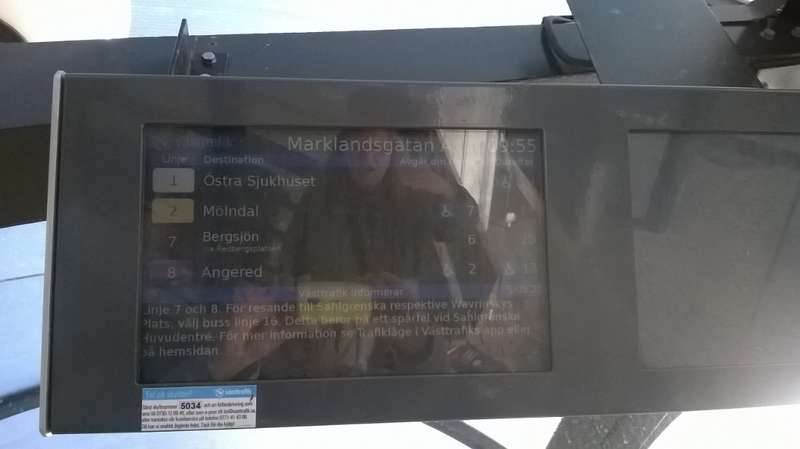 Was speaking to a personnel setting up a schedule display at the tram station opposite Chalmers Univ (Gothenburg, Sweden). There is actually a sensor on the tram/bus and one on the track and cables run throughout the tracks in order to display data in the stations. So exact timings about departure and arrival of different buses and trams gets tracked in real-time. The displays have a modem inside and also send out data for the mobile apps and the website.